Wow! 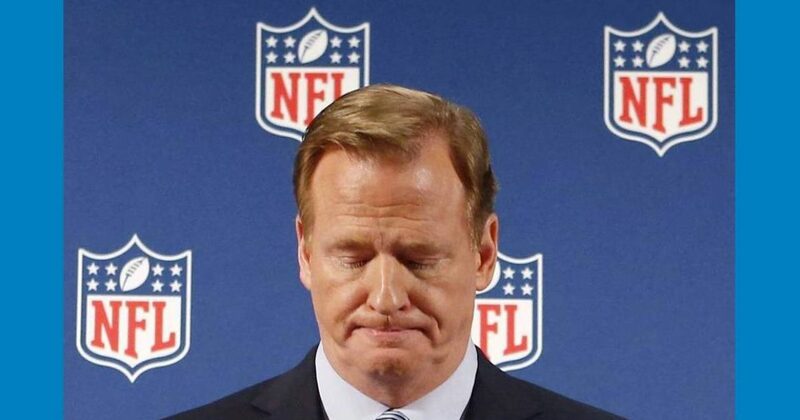 The NFL is off its 2015 viewer numbers by nearly 19%. That means 19% less advertising revenue for the networks and 19% less revenue for the league and team owners. I might add that a typical business profit margin is 15%, sometimes less, meaning this 19% reduction in revenue likely represents a net loss for the league and team owners, as they are locked into their contracts with the players, who will be expecting every dime contracted, even though they are the source of the problem. This must come as sleep-losing news to Goodell and the team owners, especially considering the boycott shows no sign of ending, and possibly getting much worse. Viewership numbers are lagging for a variety of reasons, not least the ongoing protests during the national anthem that former 49ers quarterback Colin Kaepernick began in 2016. Fans are still angry about Kaepernick’s continued unemployment as well as what’s seen as the growing politicization of the NFL. In addition, President Donald Trump continues to attack the league for not forcing all players to stand during the anthem. Commissioner Roger Goodell and player reps met last week to seek a way forward, but there wasn’t much progress, and players continue to protest. More than 20 NFL players sat, took a knee, raised a fist or stayed in the tunnel during Week 7 games, according to The Associated Press. The NFL’s network TV partners, for their part, refuse to show, much less discuss, player protests on the air during game telecasts after airing them for a brief time earlier in the season. Across the media landscape, viewers are watching less sports on TV. The NFL is also missing an All-Pro team of injured stars including Aaron Rodgers, Odell Beckham Jr. and J.J. Watt. Former draws such as Peyton Manning and Tony Romo are now retired.